If you dream of a luxurious tour that takes you back to the time of the pharaohs and through which you can enjoy the charm of nature, Memphis tours gives you that chance. Back to the time of the pharaohs through your tour to Luxor, Aswan and Cairo on board a luxurious 5 star Nile Cruise. Egypt Travel representative will meet and assist you at Cairo International Airport. After that you will be transferred by a modern air-conditioned vehicle to your 5 star Hotel in Cairo,Overnight in Cairo. Breakfast then move to start your blissful day kicking off at Memphis; the ancient capital of Old Egypt during the Old Kingdom. It was founded by King Menes. Proceed to the Step Pyramid at Sakkara which was designed by the architect, Imhotep for his master King Zoser. Lunch at a good quality local restaurant. 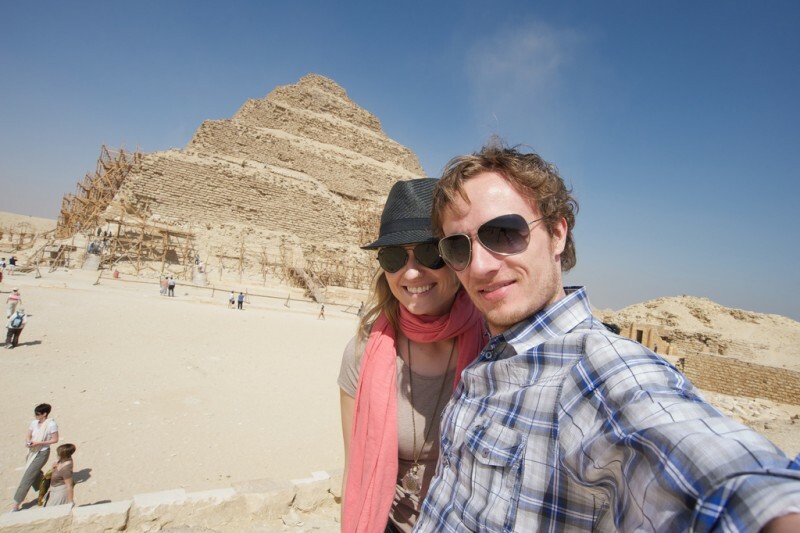 After that, move to visit the enchanting pyramids of Cheops, Chefren and Mykerinus at Giza. Then proceed to visit the Great Sphinx, the head of a pharaoh with a lion's body, dates back to the time of Chephren. The tour also includes a visit to the Valley Temple which belongs to the Pyramid of Chephren. Overnight in Cairo. Transfer to Cairo Airport for flight to Luxor where you will be met and transferred to embark your 05 star deluxe Nile Cruise. In the afternoon you will be accompanied for a wonderful tour to the East Bank of the River Nile in Luxor. Here you will see the captivating Karnak and Luxor Temples that reflect the bewitching Pharaonic history. Return to the ship for afternoon tea and dinner. Overnight in Luxor. After breakfast pay a visit to the High Dam, the Unfinished Obelisk, and the majestic Philae Temple. Afterwards, sail aboard a felucca to visit the charming Botanical Garden. Return to the ship for lunch. Dinner on board. Overnight in Aswan. Disembark after breakfast, free time in Aswan. Then you will be driven to Aswan Airport for flight to Cairo. Overnight in Cairo. After breakfast, Proceed to visit the Egyptian Museum to see the treasures of Tutankhamun, among many other fascinating pharaonic artifacts. Lunch at a good quality restaurant. Then trip to see the Hanging Church and Abu Sirga Church at Coptic Cairo. Back to the hotel and overnight. Free day in Cairo or optional tour to Alexandria, the second capital of Egypt, visiting Qaitbay Citadel, built in the 15th century by Sultan Qaitbay on the spot of Alexandria’s ancient lighthouse. See the grand Montazah Palace, which combines Turkish and Florentine architectural styles, then move on to the new and much acclaimed Alexandria Library. Also visit the Roman cemetery cut out of the rock, the Catacombs. Lunch at good quality local restaurant. Return to Cairo and overnight. Accommodation for 5 nights in Cairo including breakfast & taxes. Accommodation for 4 nights on 05 star Super deluxe Nile cruise on full board basis. Domestic flight (Cairo – Luxor- Aswan – Cairo).